Award-winning Scandinavian women’s fitness brand PureLime has set its sights on keeping cool as temperatures rise for runners this summer. The brand that combines up-to-the-minute styling, top-end performance with fabulous fit and comfort, has a range of clothing perfect for warm weather running; whether it’s pounding the streets, hitting the trail or grinding out the miles on a treadmill in the gym. PureLime also offers wicking, breathable compression Speed Tights (shorts) for serious runners in hot weather. But if you prefer to cover up, the Speed Capris and Speed Leggings offer extra sun protection and compression benefits, while keeping the body cool and dry in the heat, thanks to Purelime’s Breathe-Dri Power fabric technology. 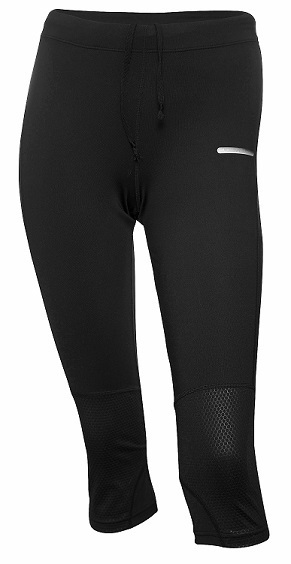 Sporty PureLime Speed Capri are a great fit and come with reflectors on both shins to make you more visible in the dark. The fabric is soft and comfortable, it is fast drying and has good breathability.